Life revolves around prediction—for example, the route you take to get to work, whether to go on a second date, or whether or not to keep reading this sentence are all forms of prediction. Predicating our future is very much tied to progress. We use it to help us plan our lives so we can increase our likelihood of success. The problem is that the human mind cannot possibly process all of the insight flowing from big data. Machine learning is the answer to this problem, through its capacity to augment our decision making in the moment to deliver transformative business outcomes. 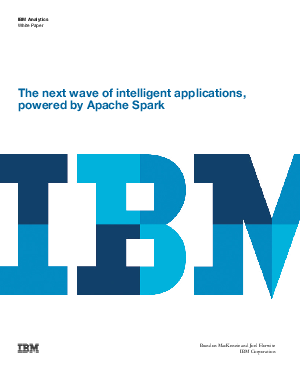 We are already seeing machine learning powered by Apache Spark changing the face of innovation at IBM. Learn more.